Swedish music streaming service Spotify complained about Apple to the European Commission, accusing the latter of noncompetitive behavior. About filing a complaint in the official blog of the company said the founder of Spotify Daniel Ek. And Spotify did not just file a complaint, but launched a whole campaign against Apple, choosing the slogan Time to Play Fair for it. As part of this campaign, Spotify created a short video and even launched a special website where the entire evidence base is gathered – a chronological chain of events pointing to Apple’s multiple dishonest actions against competitors in order to promote Apple’s own music service. As you probably already guessed, the Apple App digital store is owned by Apple. Spotify says that Apple deliberately limited its competitors and specifically created conditions for Apple users to always choose the company's services. Perhaps one of the key points of the complaint is the requirement to use the proprietary system of purchases in applications (IAP) with a mandatory commission of 30%. At the time, Spotify was forced to abandon the use of the IAP system, since it increased the monthly fee for a premium subscription from the usual 9.99 to 12.99 euros (a subscription to Apple Music costs 9.99 euros). Since then, Apple users can switch to the Spotify paid subscription only via the website (there is no such possibility in the application). numerous refusals in placement in the App Store of the Spotify application for Apple Watch (the latter came out at the end of last year and contains a number of limitations); failure to add Spotify support for the HomePod smart speaker and the Siri voice assistant (the latter still has no integration with Spotify); threats to remove Spotify from the App Store; preventing the application from updating due to the fact that Spotify offered users to buy a paid subscription bypassing Apple's payment system and commissions; the ban to recommend podcasts after Spotify bought two companies from this field. 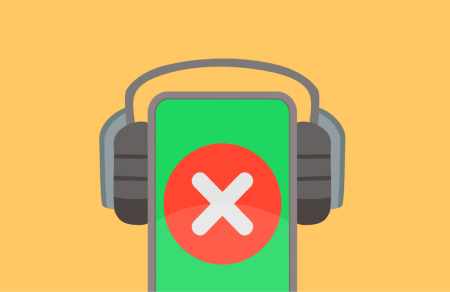 Spotify also recalled how last month Apple sent a push notification with Apple Music ads to iPhone users, although this is prohibited by the rules of the Apple Store. “In recent years, Apple has introduced rules that limit user choices to the App Store – in fact, it acts both as a player and a regulator, specifically exposing other application developers in an unfavorable light. After unsuccessful attempts to solve problems directly with Apple, we ask the EU to take measures to ensure fair competition. ” Daniel Eck, founder of Spotify. Spotify decided to oppose Apple not for the money. Instead of a monetary compensation, the company demands fair and equal for all the rules in the App Store. Spotify also requires giving the option of choosing a payment system for payments within applications and removing the restriction that does not allow adding buttons or external links to pages, for example, with promotional offers and promotions. In general, the demands of Spotify seem to be quite fair, but let's see what European antimonopoly specialists will say to this.